Be happy at this Howard Johnson on East Tropicana, Las Vegas conveniently located within walking distance of Las Vegas casinos. McCarran Airport is just two miles away. Enjoy modern comforts at an affordable rate at this lodging with a seasonal outdoor pool, and large-vehicle parking. Take advantage of the fax, copy and computer services to stay productive on the road. After an exciting day, unwind in your comfortable guest room watching the flat-screen TV or connecting to the complimentary wireless Internet access while relaxing on the pillow-top mattresses. 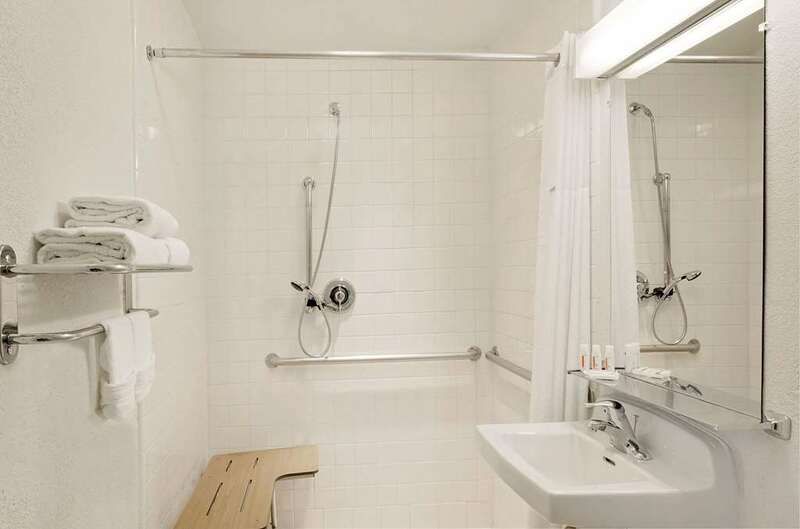 Smoke-free and handicapped-accessible rooms are also available. Pets are welcome at this lodging.